Below describes one way of celebrating the Equilux, but this is not the only way to celebrate. You may celebrate in your own way where ever you are. Consider the following as merely one way of celebrating and as a source for inspiration. September 22 for the Southern Hemisphere. This is considered the year’s dawn as this is when the year has a balance between night and day moving into more daylight. Dawn itself being symbolic of new beginnings makes it a moment to celebrate those experiencing new beginnings. Especially expecting mothers/parents and possible new arrivals. Some ways to celebrate is to provide nest building materials for birds and small mammals having offspring. For humans, baby clothes and other family products are gifted to expecting parents to prepare homes for family life. People with new homes have house warming parties, and those who are renovating may receive care packages that assist in the project. _Each person finds a brightly coloured flag on which they mark with what they wish to see happen between now and the next Equilux. It can be marked with words, symbols, or can do a simple ceremony with it. It is really up to the individual to decide what best reflects their desires. Once marked the flag can join others of the community on a strong cord and strung up on the dawn of Equilux where it can catch a lot of wind. It will be left there until the next Equilux. The flags from the previous Equilux are taken down the midnight before the Equilux dawn and burned at the ceremonial fire. 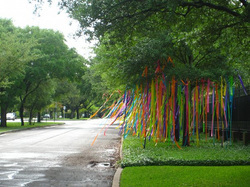 Colourful streamers are hung everywhere on Equilux for a very festive atmosphere. 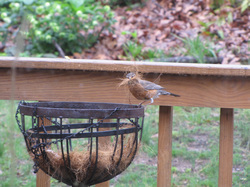 Leave old thread, twill, wool, and other nesting materials in easy to find places for returning birds to pick up and use. For a festive touch these can be brightly coloured fibers or the loose shape made to look like a bird or other recognizable seasonal shape. Get your gardening going by starting some seeds in home. 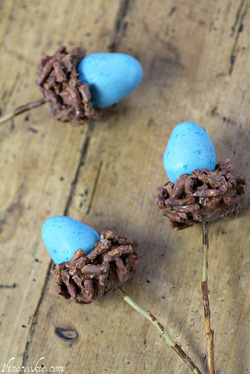 A festive way to do this is in a all natural bio-degradable hollowed egg. Breakfast and a pot as a bonus. 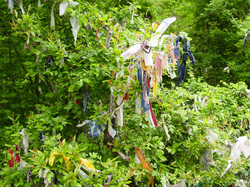 A community wishing tree often receives new ties in the new year. It is a good time to ponder what was wished for the previous year and see if it has come to be and if a not, if a new approach is necessary this year. The easiest form of poi dancing is flag or ribbon poi dancing. 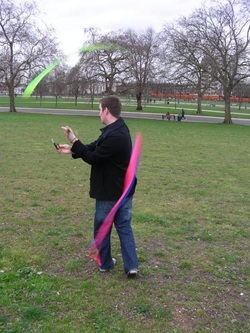 The ribbon poi can easily be made at home with ribbon, weighted tennis balls, and tethers. small egg and nest candies are made and hidden throughout homes and gardens for friends and family to find on Equilux Morning. Egg candles are a common sight for Equilux. Made by filling hollowed eggshells with melted beeswax and a wick. Set aside to cool, peel of the shell and its ready to use. Eggs are hollowed out, dyed, filled with wildflower seeds, hole glued over with tissue paper, and Placed throughout the community in decoration and for use in the Seed Egg Hunts. This is part of an ongoing game where folks can go off and find them whenever they like. When one is found it is quickly broken on a relation, friend, or even stranger, to wish them well for the coming year - spreading the seeds in the process. 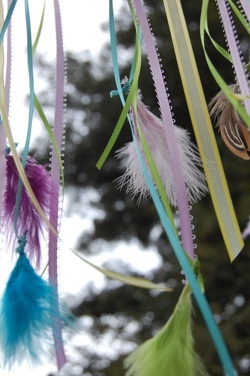 Sticks with festive ribbon and feathers tied to the ends make fun twirly toys for Equilux. 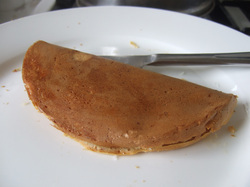 Eaten as breakfast or desert for Equilux, these Equilux cakes are pancakes with half being regular pancake which represents the oncoming brighter half of the year and the other with cocoa or other dark food ingredient representing the dark half of the year that has past. 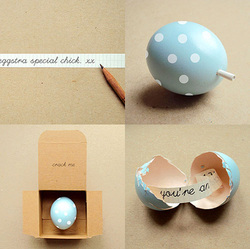 A fun activity among loved ones, or even for wooing, is to gift an egg message. For new home owners having a house warming party is typically done this time of year and guests can bring gifts that aid in prepping the new home. For other home owners, if a project is in process friends and family may send a care package with some items needed for the project. For humans, baby clothes and other family products are gifted to expecting parents to prepare homes for family life. Being solely lit by flames from lanterns, lamps, torches, and candles. Organize A Equilux Festival Where You Are! 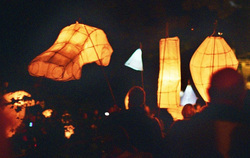 _Everyone gathers at midnight at the festival grounds with poled lamps lighting their way and grounds. A program is distributed so everyone knows what is expected when participating and what is going on throughout the festival. Each community charity, club and social group have their own poled lamp, decorated with flags, chimes, feathers, images and objects they are associated with (i.e. soup kitchen having ladles on their poled lamp). This provides an opportunity for members of the community to come to know the various groups and organizations within it. Within the program are chants that are sung as the poled lamps are staked around the festival grounds in predesignated locations to promote overall visibility. _Once the pole lamps are put in their places the Equilux Festival is then filled with wind music. Starting with the 'Winged Wanderer' in the center of the grounds (the music leader of the festival adorned in wings that mark them with this role and job of playing throughout the festival). Following them is the dedicated team of performers layering in from throughout the grounds. Once this performance fades attendees are welcomed to join in with their wind instruments in the following songs throughout the festival, possibly taking different shape in different areas as the music takes a life of its own. Wind instruments can include, tin whistle, ocarina, frula, woodland flute, didgeridoo, and so on. Most often very basic, non-complex instruments with few or no parts. and make their way to the Yurt for the potluck before the main events begin. _Set up a day or two before Equilux is a big yurt for the potluck, and if the weather is poor the main events. Connected to this yurt is another big yurt for communal sleeping throughout the night. 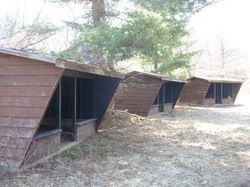 More yurts can be set up, and attached to each other via covered walkway, to accommodate greater numbers. Leantos are set up for participants to use for seating shelter near fire as well as sleep throughout the festival. 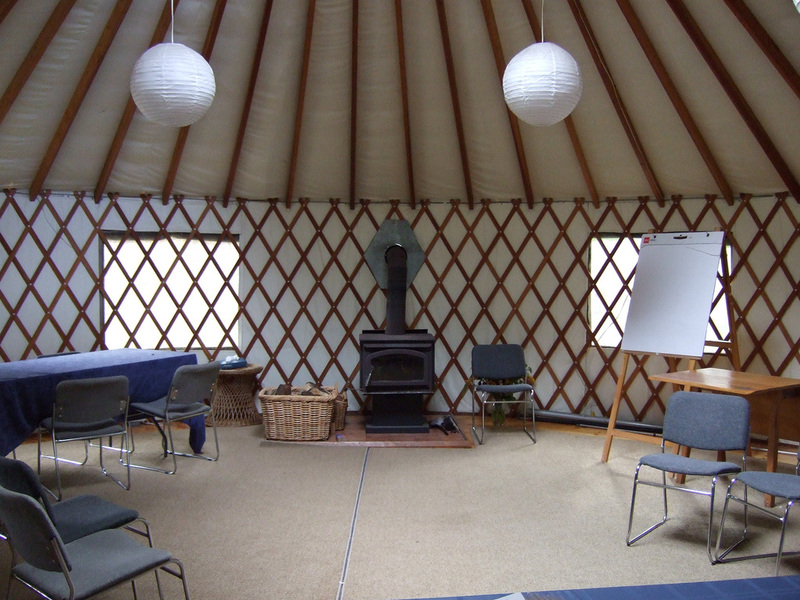 The Yurt and leantos are close together situated around the center of the festival grounds. Signed lanterns are placed along paths to direct participants toward the yurts, each leanto (if there are many), first aid station, event areas, and outhouses. The outer boundaries of the festival grounds are marked off with signed ropes and lamps/lanterns to prevent people from getting lost in the dark. Participants can organize buddy systems and carry walkies-talkies to keep together throughout the festival. It is also a good idea to traverse the festival grounds in daylight before the festival to get familiar with where everything is in order to be oriented in the dark. 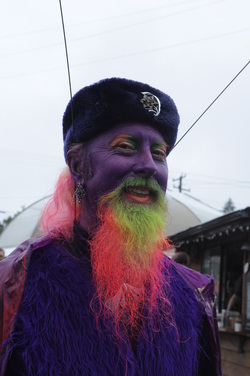 Throughout the festival are security patrol officers equipped and trained with whistles and whistle codes that can assist participants (they have a private yurt to accommodate for shift changes). Within the public yurt is a stove, tables and seats; with hot water for drinks (depending on the region different types of drinks are provided, such as tea or hot chocolate) and the food items brought for the potluck. 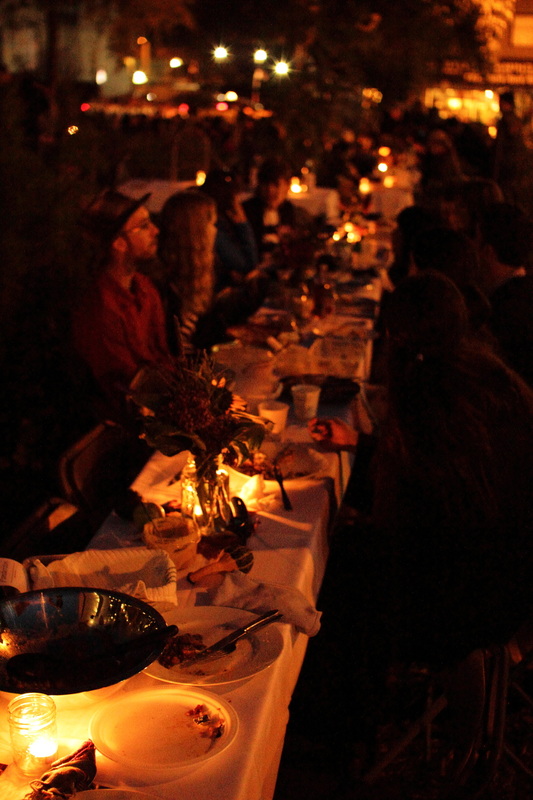 Attendees bring their own utensils, thermos/bottle/cup and bowl, as well as seats to use outside around the fire(s). A padded seat is a good idea for colder regions. 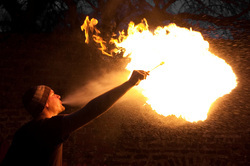 The Early morning of the Equilux Festival is usually accompanied with fire dancing, juggling and breathing. 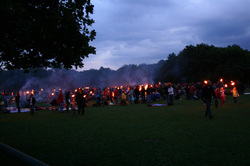 Forms of fire dancing include poi, staff, hula-hoop, and club. Areas would be sectioned off for these performances, away from other people and burnable objects such as trees, dry grass, and buildings. If there are enough fire dancers, breathers and jugglers attending, there can be a competition between them with a cheer off at the end. Whoever gets the loudest cheer wins. In the Early Morning part of the Equilux Festival, professional and amateur story telling and skits are done completely or in part with shadows, and solely lit by fire light. An announcement is made for each registered story telling, between these the shadow stage is free for attendants to use throughout the Early morning of the festival. Most stories told are themed on Equilux and Spring. 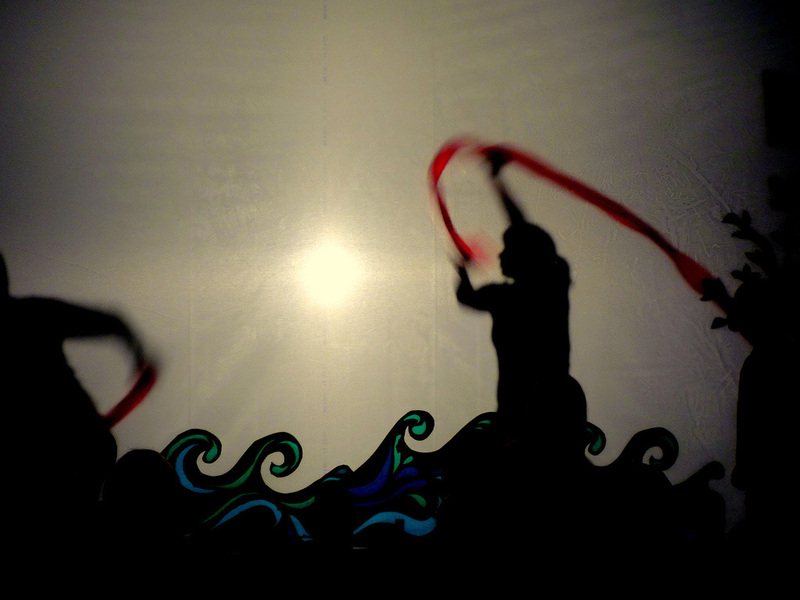 Surrounding this text are examples of different kinds of shadow performances. Snuffing Blazing Birdies - This is the same concept as Blazing Birdies (See Flaming Archery Games), but instead has all the birdies lit with the object of the game focused on putting them out, or 'snuffing' them by throwing large, weighted, brightly coloured (for easy recovery) woolen balls. Blow Pipe - A person has a 1.5 meter (5 feet) long, 3 cm (1 inch) wide pipe that they use to try to blow out a candle or lamp, or series of candles and lamps. For a little more competition, have a set number of lamps for each team (one candle for each player, each team has the same number of players), on 'go' each member takes a turn to blow out a candle, which ever team blows out all the candles first wins. Light, Night - A team game where there is a set time (somewhere between 2 and 10 minutes - a sand timer can be used for this) to complete the game. The object of the game is one team is Night, and the other team is Light. Between the teams are 13 lamps (could be more or less depending on the number playing, but must be an odd number, and could be either tall stakes in the ground or on a table) half plus one of them are already alternately lit. Around the lamps is a meter (3 ft) wide marked boundary that cannot be crossed. The Night team has snuffers with 30cm (11.8 inch) long handles, they are trying to put out all the lamps. The Light team have mini torches with 30cm (11.8 inch) long handles, they are trying to light all the candles. At the end of the designated time if there a more candles out than lit, the Night team wins. If there are more candles lit than out, the Light team wins. Canister Candy Hunt - A set of 10 canisters for each team has a different shaped mirror attached to it hidden around the festival grounds or a sectioned off field game area. Each team sends out one person at a time to find the canister with their team shape on it. As soon as they find one they come back to base and the next person on their team goes hunting. Do not disturb canisters that belong to other teams. The first team to get all ten of their canisters back wins. For younger players you can send them out in pairs. All players can now enjoy the candy in their canisters. Tight Night - Two players go and hide separately. The rest of the players go find the them after counting to 50. If anybody finds a hider, they then join them in their hiding spot until two people are left looking for perhaps ten to twenty people all hiding in the same spot. The first two people who found the original hiders are the next ones to hide. Head Lights Tag - The person who is designated as 'it' has a lamp that directs light in only one narrow beam. They stay in the center of a pitch black closed in area and slowly turn. Each turn is counted up until between 5 and 10 (must shine when 10 is reached but can shin any time after 5), upon which they can shine their light in the direction that they think players are. Once shined on the player leave the closed in area and the lamp goes off and 'it' begins turning and counting again. This continues on until all players are found. Touch & Sound Hide & Seek - In a pitch black closed in location one person is designated as 'it' and have to find the other players. Ideally this closed in area is big enough to fit all players, yet small enough that when one player is left, it is doesn't take too long for the person who is 'it' to find them. Touch Scavenger Treasure Hunt - In a pitch black closed in area, all players are searching for items needed to open the treasure. Before entering the area they are shown a simple map of items to find and in what order and direction to go in to find them. Items can include a chair, ball, sign post, table etc. For example, the map may show the first item being the chair in the left corner of the area, and there they grab a piece required to open the treasure, then they go right to find the ball to grab the second item needed, so on and so forth, until they have all the items needed to open the treasure. Once all items are found they go to one corner where the game leader is and show them their items, and if all items are present, they can receive their treasure (a simple toy or treat). Lanterns are competing for 'most creative shape', 'most eye catching', and 'best themed'. Other categories may be added as well. 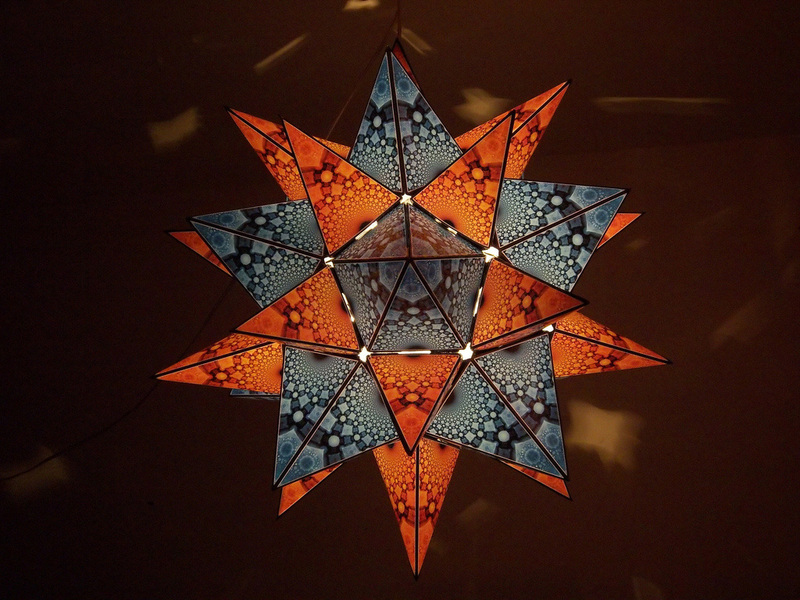 All competing lanterns must be handmade by the individual entering. The competition begins shortly after opening ceremony. When the light begins to stretch over the sky everyone stands and faces east - the direction we're turning toward. As the horizon crosses the sun's disk people express their wish for the new year starting on this new day. At this moment a symbolic act can be made to reinforce this hope or goal, sometimes involving an item brought just for this occasion. These wishes can be tied onto the community wishing tree. An added feature is when the light breaks on the Equilux Display, the light shines through the gaps to read 'Happy Equilux!' or other varied messages for the new year and season on the wall or ground behind it. Eggs are hollowed out, dyed, filled with wildflower seeds, hole glued over with tissue paper, and Placed throughout the community in decoration and for use in the Seed Egg Hunts. This is part of an ongoing game where folks can go off to find them whenever they like. When one is found it is quickly broken on a relation, friend, or even stranger, to wish them well for the coming year - spreading the seeds in the process. 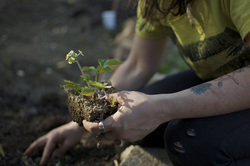 Seed bombs can be made at a designated station at the festival and tossed where ever new growth is wanted. Sit Down on a backed chair and lean your head back so that your forehead is parallel with the ground. A dark cookie representing the night is placed on your forehead. Using nothing but your face, shuffle the cookie to your mouth without dropping it. Using vines, willow, wire, and beads to make bubble wands at one of the stations at the Equilux Festival. Sheets are given out that show and name the different clouds in the sky. Fun in itself, but in addition the cloud candy stand will give a small free candy cloud to who ever can describe and name all the clouds by memory. Various seasonal hand and foot print art is made on a large hanging sheet displayed on the grounds. Two common items is the Robin Foot Print with the toes as tail feathers and heel as the head; the other is the series of hand prints caterpillar where the palms are the body segments, and the fingers are the legs. 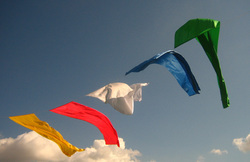 Often a time of the "shift in the wind" into a new season wind themed items are abound. You can decorate and put together your own pinwheel at the pinwheel station. Hoops are hung on a number of trees with backstops behind them. There can be ball tosses for starters, heavy ended short poles for twirling through the hoops, and spear throwing for more advanced level targets. At this station various dying know how and techniques are shared. From wax resisting to boil imprints. _Those competing register before the announcement of Best Dressed. The clothing is primarily judged on practicality for the weather, fit (is not too tight or loose for example), and seasonal expression (i.e. returning birds or reawakening life such as trees, bears, or squirrels) Each competitor can add their own flair on top of that to impress the judges. 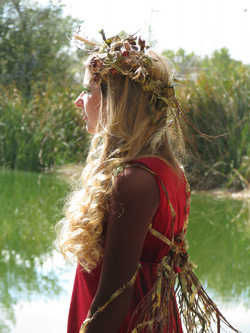 All entered clothing must be handmade by the competitor or be co-entered and the prize split between maker and model. 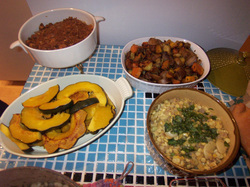 Additional points are made to sustainably and locally sourced materials for costume. Greater points for a completely local and sustainable costume. _A giveaway in the Equilux Festival is when each participant brings an unwrapped gift and places it around the Equilux fire. Each individual can bring more than one gift. After all participants have done this, each individual can go around a few times to see what is there. After the look around everyone sits around the fire and from youngest to oldest, each person goes around and picks up one of the items. If there are more items left after everyone has went around once, it can go around again. You can choose to pass your turn to the next person when your turn comes up again. This can go around a few times before all items are picked up. One variation is after the first or second round to announce "all in" and everyone can go at the same time. Some common items are notebooks, jewelry, utility home items, toys, arts and crafts, clothing items, kits and gift baskets. The timing of the give away depends on the number of those attending. As with a smaller crowd of 30-50 individuals this can begin a couple of hours before Midday. For a crowd of over 150 participants it can begin as early as dawn. A giveaway may not be feasible for crowds with over 300 participants. 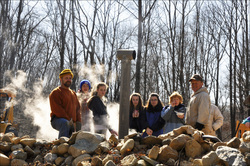 If a giveaway is still desired, it may work if the participants are separated by groups of approximately 100 to a fire and start shortly after dawn. A ticket system can be devised so individuals that have a ticket that is within a certain number range go to a specific fire for the giveaway. If this is done ensure easy identification of fires via map and/or signs. As the earth turns to the point of when sun's light is in the highest point in the day, everyone stands looking to the south horizon facing the solar clock. Hand clapping, whistling, and flute music begins at a slow pace, speeding up and climaxes with cheers and dancing as the shadow of the solar clock meets with the shadow rod. It is the midday of the midpoint between Nox and Lux. It has been equal length of day and night and the beginning of summer days ahead. Alternatively, a cannon dial/noon cannon can be used instead of the sun dial.